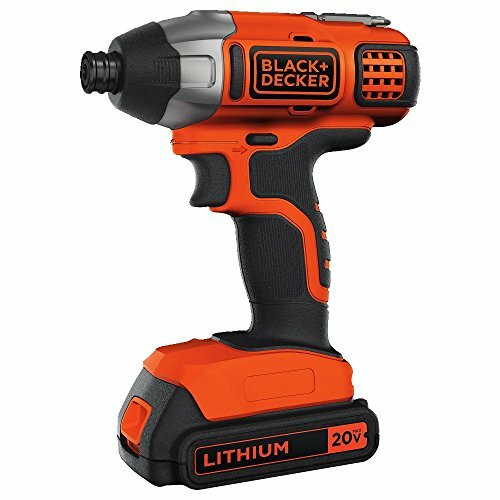 The BLACK+DECKER BDCI20C 20v MAX Lithium Impact Driver features a high performance transmission that delivers 1375 in-lbs of max torque (determined by 30 second impact load gauge test method). This driver has a quick release 1/4" hex chuck. This unit offers variable speed, operates at 0-3000 rpm, and 0-39000 BPM. The BDCI20C Impact Driver is compact & lightweight for ease of use for all types of jobs. Maximum initial battery voltage (measured without a workload) is 20 volts. Nominal voltage is 18. 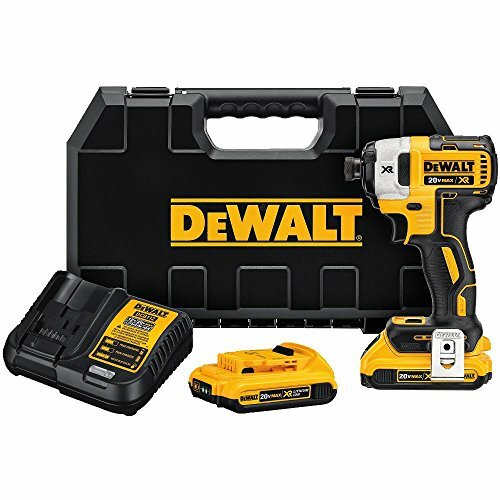 Includes: (1) BDCI202 Impact Driver, (1) 20v Max Battery, (1) Charger, (1) Screwdriving bit. The DEWALT DCF887B 20V MAX XR Li-ion Brushless 1/4" 3-Speed Impact Driver Bare tool features a DEWALT built brushless motor. This impact driver has 3-speed settings for optimized application versatility, along with Precision Drive in speed 1 for precision applications and added control. It offers three (3) LED lights with 20 second delay after trigger release to provide visibility without shadows. It also allows for one-handed loading 1/4" hex chuck with easy grip sleeve, and accepts 1" bit tips. This unit has a compact and lightweight design to fit into tight areas (2 mm shorter than the previous DCF886). Includes belt clip. This is a bare tool item - battery sold separately. 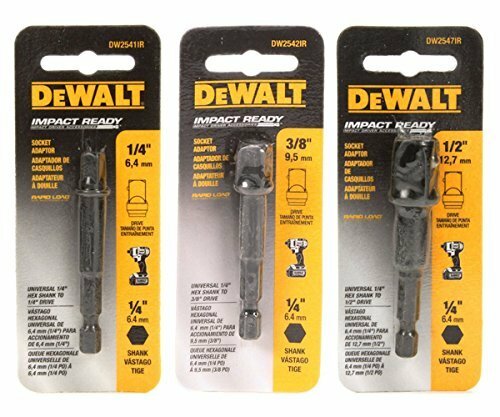 Genuine DeWalt Socket Adapter Set that includes DW2541IR (1/4" hex shank to 1/4" socket), DW2542IR (1/4" hex shank to 3/8" socket), and DW2547IR (1/4" hex shank to 1/2" socket) adapters. This set is perfect for your impact driver or drill, and allows you to replace your ratchet with a power tool. These impact ready adapters are rated for the most demanding of applications (2000 in/lb of torque). The 1/4" hex shank fits all quick change chucks as well as standard drill chucks. The DEWALT DCF887D2 20V MAX XR Li-ion Brushless 1/4" 3-Speed Impact Driver Kit (2.0 Ah) features a DEWALT built brushless motor and XR Lithium-Ion batteries which deliver more run time and capacity over standard units. This impact driver has 3-speed settings for optimized application versatility, along with Precision Drive in speed 1 for precision applications and added control. It offers three (3) LED lights with 20 second delay after trigger release to provide visibility without shadows. It also allows for one-handed loading 1/4" hex chuck with easy grip sleeve, and accepts 1" bit tips. This unit has a compact and lightweight design to fit into tight areas (2 mm shorter than the previous DCF886). 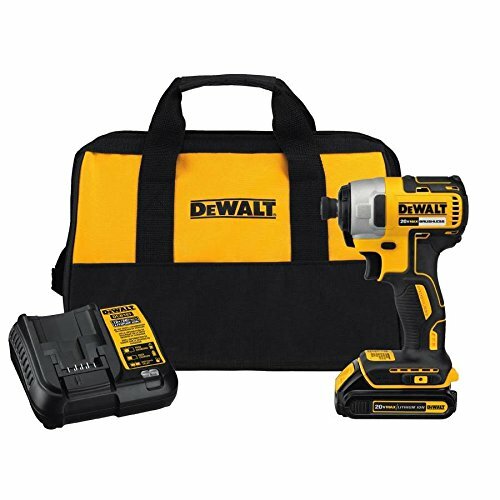 Kit includes: (1) DCF887 - Brushless 1/4" 3-speed Impact driver, (2) DCB203 - 2.0 Ah 20V MAX XR Batteries, (1) Fast charger, Belt Clip, Kit Box. 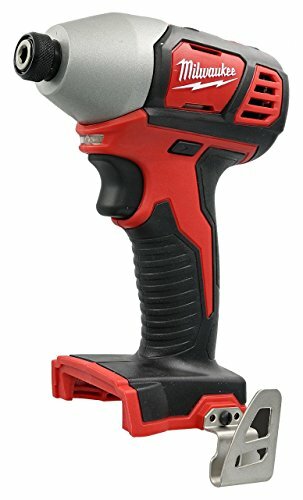 The ARES 3/8-inch Drive Manual Reversible Impact Driver allows you to loosen frozen bolts, rusted body panel fasteners, and corroded brake calipers with just a few strikes of a hammer and without causing damage. With four interchangeable bits to choose from with Precision-Milled Tips for exact fit, you'll save yourself the enormous hassle of having to drill and tap many of even the most stubborn fasteners. 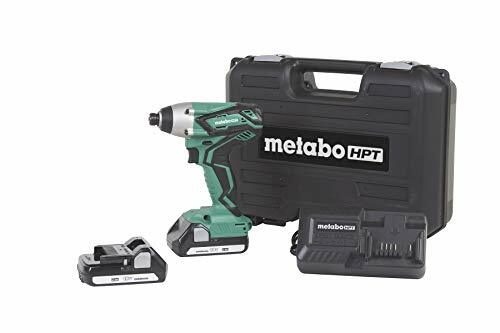 SET INCLUDES: This set includes one 3/8-inch impact driver, one 3/8-inch drive bit chuck, two Flat Bits (5/16- and 3/8-inch), two Phillips (#2 and #3), and one storage case. The impact driver has corrosion-resistant chrome plated finish with non-slip knurled grip, and the bits have precision-milled tips for exact fit. HOW IT WORKS: When you strike the top of the tool with a hammer, the drive tang is turned 20 in the direction you have set the tool. You can use this driver with impact sockets and on nuts, bolts, and other fasteners. 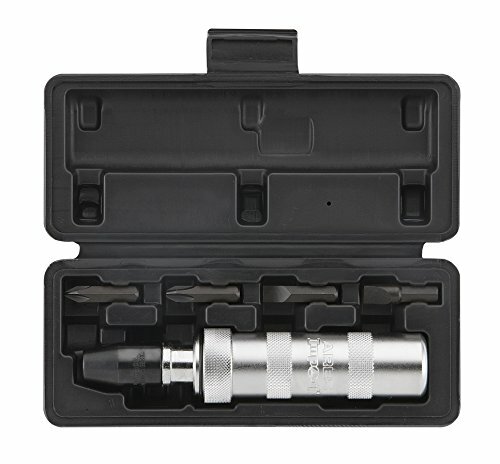 If you need additional or replacement bits, try picking up an ARES 70013 Impact Bit Set. COMMON APPLICATIONS: Instant impact force loosens rusted or frozen screws without damaging them, so you can save yourself the hassle of having to drill and tap stubborn fasteners, whether you're working on a brake job or changing a rotor. RELIABLE | EFFECTIVE | EFFICIENT: Users trust ARES to be quality tools. You are backed by our Performance Assurance Limited Lifetime Warranty. If you have any issues with your ARES Manual Reversible Impact Driver, simply contact customer service for troubleshooting help, parts, replacement, or refund. Impact drivers are ideal for driving large fasteners like lag bolts through porches and other thick materials. With the Milwaukee M12 Impact Driver, you ll be getting top-of-the-line performance in a compact package. You ll be able to drive what you need while maintaining control with the greatest amount of comfort. Its rubber-molded pistol grip increases friction between the tool and your hand, enabling optimal handling in slippery conditions. Beyond the comfort, there are tons of features packed in here that make it a step above the competition. Most powerful of all is the unit s motor. It can drive fasteners with up to 1,000 inch pounds of torque at 2,500 revolutions per minute. With such a lightweight unit, this is tremendous power. There are also internal electronics that allow cross-communication between the tool and whichever M12 Redlithium battery is powering it. This allows the tool to monitor itself for overheating, and it powers down before it can be damaged, a feature unheard of in other 12 volt impact drivers. Beyond that, you get LED lighting on the front to brighten your workspace, and an LED fuel gauge on the side to let you know how much work you can do on your charge. Wherever you work, with Milwaukee by your side, you ll be getting the job done properly. 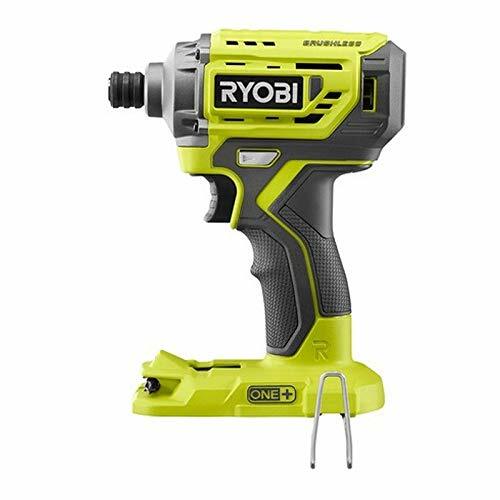 This Ryobi 18-Volt ONE+ P252 Brushless Impact Driver provides superior lithium-ion performance to get the job done. The impact driver has a variable-speed trigger and 1800 lbs. of torque to provide control and power when driving long and large screws or bolts. It also features the exclusive MagTray onboard bit storage which allows convenient placement of bits and screws, a belt clip that mounts to both sides and an LED light to illuminate the work area. This item is removed from retail packaging for shipping purposes (Bulk Packaged) and will arrive in a generic box. Bare Tool, Battery and Charger Sold Separately. This item is removed from retail packaging for shipping purposes (Bulk Packaged) and will arrive in a generic box. Hex impact driver once again raises the bar for 12V performance with best in class driving speed, power, and size. By Focusing on productivity, this impact driver gets the job done faster by being over 20% faster in application speed vs. The competition. This tool outputs over 1, 300 in. Lbs. Of torque that allows the user to get more work done by completing a wide range of fastening. Measuring only 5.1 in length allows for unmatched access in tight spaces. 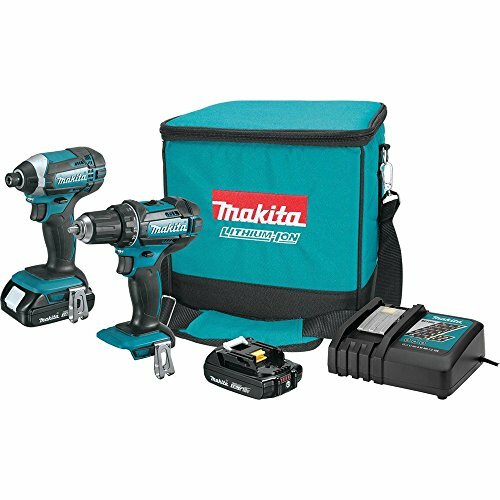 The Makita 18V Compact Lithium-Ion Cordless 2-Piece Combo Kit (CT225R) is built for the pro-user who demands best-in-class Lithium-Ion cordless tools for drilling, driving, and fastening in a compact size. The CT225R includes a 1/2" driver-drill in a compact size for increased versatility. The kit also includes an impact driver that weighs only 3.3 lbs. yet delivers a full 1,460 in.lbs. of Max Torque for fastening and driving applications. The DEWALT DCF894B 20V MAX* XR in. Mid-Range Cordless Impact Wrench with Detent Pin Anvil delivers up to 330 ft-lbs max of fastening torque and a lightweight, ergonomic design. This tool also features Precision Wrench Control, which helps to prevent overtightening in forward and fastener run-off in reverse. 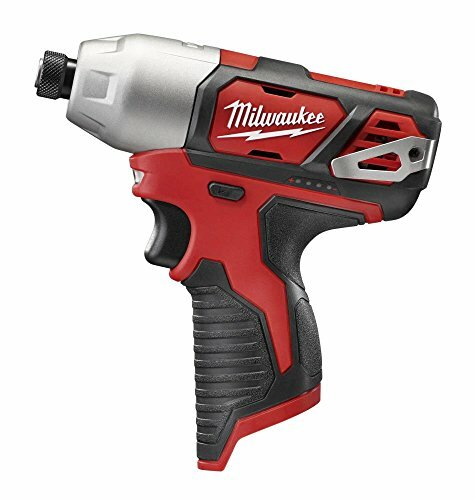 This Mid-Range Cordless Impact Wrench is ideal for grooved couplings, pipe flanges, wheel lugs, concrete anchor setting, and many other applications where a lot of torque is needed in a compact space. This is a bare tool; battery sold separately. 3 Year Limited Warranty, 1 Year Free Service Contract, 90 Day Money Back Guarantee. The Makita 18V LXT Lithium-Ion Brushless cordless impact driver kit (XDT131) delivers maximum versatility and performance, with an efficient Makita BL Brushless motor for up to 50% longer run time, increased power and speed, and longer tool life. The kit includes an efficient 18V LXT 3.0Ah battery which reaches a full charge in only 30 minutes the fastest charge-time in its Category for less downtime and increased productivity the XDT131 is engineered for a full range of driving and fastening tasks including fastening deck screws, TEK screws, cabinet screws, tightening down lag bolts, and much more. It is ideal for HVAC, electricians, plumbers, automotive mechanics, woodworkers, remodelers, and any Pro contractor who requires a best-in-class cordless impact driver. It S part of Makita s expanding 18V Lithium-Ion system, the world s largest cordless tool system powered by 18V Lithium-Ion slide-style batteries. Makita 18V Lithium-Ion batteries have the fastest charge times in their categories, so they spend more time working and less time sitting on the charger. For improved tool performance and extended battery life, Makita created Star protection Computer controls. Star protection is communication technology that allows the Star Protection-equipped tool and battery to exchange data in real time and monitor conditions during use to protect against overloading, over-discharging and overheating. 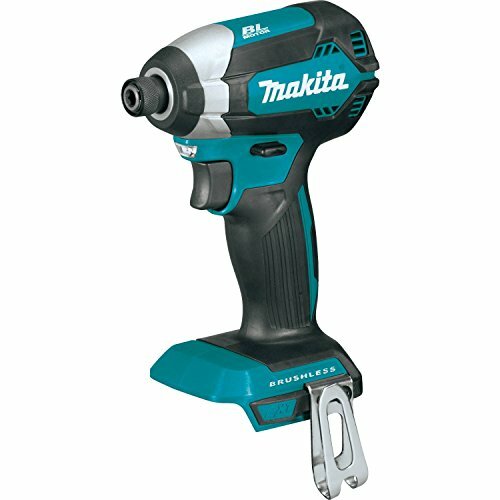 For increased versatility, the tool can also be powered by Makita 18V LXT and compact Lithium-Ion batteries with the Star symbol on the battery indicating Star protection inside. The Certified Refurbished DEWALT DCF887BR 20V MAX* XR Brushless 1/4" 3-Speed Impact Driver is compact for fitting in tight spaces and increasing productivity. Three LED lights make it ideal for working in the dark. 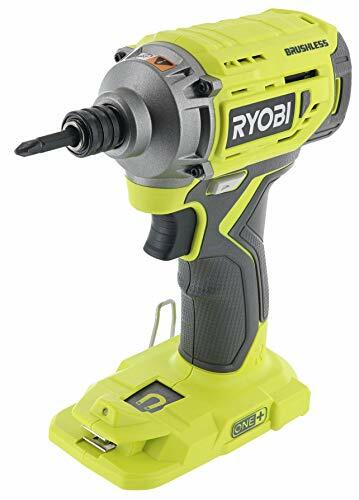 Look no further than the Ryobi P236 Impact Driver for your fastener driving needs. At 3,200 revolutions per minute and 1,600 inch pounds of torque, it has more than enough power for most driving functions around the house. It also comes loaded with useful features that will make your driving time easier. LED lights near the chuck help brighten up your workspace. You'll be able to maintain stability with the rubber overgrip that increases friction for slippery conditions. You'll be able to use both hands on the unit without holding fasteners and extra bits thanks to the magnetic tray at its base. Bit replacement is a breeze, too. Simply pull out the collar and slide in the bits to keep them locked. Do the reverse to pull them out. No tools are necessary here! There is even a phillips bit included at the base of this tool as a little bit of extra value. Being part of the One+ family, it's able to work with the Ryobi 18V batteries that already exist, or will exist as long as the One+ name does. With that kind of utility, it's no surprise that homeowners and professionals alike trust Ryobi to deliver premium results. Item is shipped in bulk packaging. 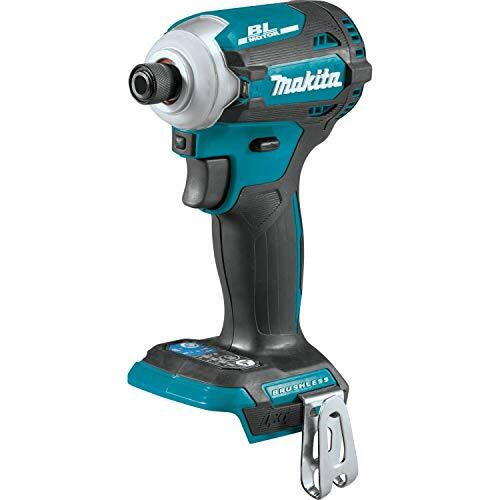 Makita is the innovation leader in Brushless motor technology, and the 18V LXT Brushless impact driver (XDT13Z, tool only) combines power and run-time for a full range of fastening tasks. The efficient Makita BL Brushless motor is electronically controlled and engineered for longer run time, increased power and speed, and longer tool life. The variable speed Brushless motor delivers 0-3,400 RPM, 0-3,600 IPM, and up to 1,500 in.Lbs. Of max torque for efficient fastening. It has a compact design at 5 long and weighs only 3.3 pounds (with battery) with an ergonomic soft grip for user comfort. The L.E.D. Light illuminates the job area for applications in dark spaces. The DEWALT DCF787C1 20V MAX* Cordless Impact Driver Kit with Battery and Charger is powered by a 20V MAX battery. DEWALT 1/4-in impact driver's compact and light design allows the tool to be utilized in tight areas while LEDs provide visibility in dark, confined areas without producing shadows. DEWALT brushless motor delivers up to 57% more run time over brushed motors and the ergonomic comfort grip handles reduce user fatigue and increase tool control. 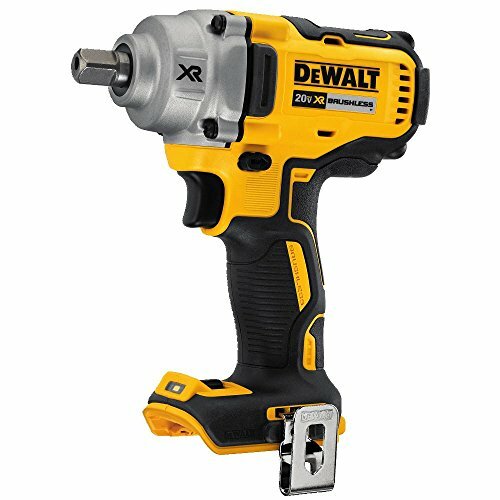 Impact driver is backed by DEWALT 3-year limited warranty, providing peace of mind. Makita has a legacy of innovation in the cordless impact driver category, and the 18V LXT Brushless 4-speed impact driver (XDT16Z) sets new standards. The XDT16Z offers users four speeds, As well as Makita s exclusive Quick-Shift mode for increased fastening control. Quick-shift mode uses the Brushless motor s electronic controls to find the best balance of speed and torque for each application for more efficient fastening. Another precision setting is tightening mode (t-mode), which downshifts and reduces rotation and impact speed prior to driving the screw into place, and is engineered to minimize screw thread stripping, screw breakage and damage to work. The XDT16Z delivers industry-leading performance in a compact and ergonomic design. Added features include the one-touch 4-speed power selector button under the chuck, which enables one-handed speed changes, and reverse rotation auto-stop mode which stops rotation and impact when the fastener is loosened adequately to help prevent over-loosening and dropped fasteners. It s part of Makita s expanding 18V LXT system, the world s largest cordless tool system powered by 18V Lithium-Ion batteries. Makita 18V LXT batteries have the fastest charge times in their categories, so they spend more time working and less time sitting on the charger. For improved tool performance and extended battery life, Makita created Star protection Computer controls . Star protection is communication technology that allows the Star Protection-equipped tool and battery to exchange data in real time and monitor conditions during use to protect against overloading, over-discharging and overheating. 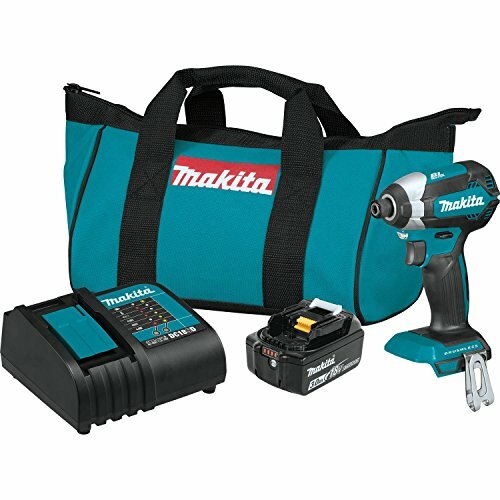 For increased versatility, the tool can also be powered by Makita 18V LXT and compact Lithium-Ion batteries with the Star symbol on the battery indicating Star protection inside. Populo 20V Max Lithium Ion cordless impact driver equipped with a powerful 4-Pole motor and with a LED work light and ergonomic design fits into tight spaces, ideal for tightening or removing of larger screws or small bolts and nuts around home. It has a built-in LED work light provides the visibility when working in dark areas, offers a quick release " hex chuck that easy to change driver bits. Maximum torque 1,770 in-lbs, No load speed 0 - 2,900 rpm, Impact rate 0 -3,000 ipm. This kit includes (1) 20V Max. Impact Driver, (1) 20V Lithium ion Battery, (1) Fast Charger, (2) 1" Long Hex Driver Bits, (1) Tool Bag. LITHIUM ION TECHNOLOGY & 20V MAX - Powers up for a longer runtime, no memory, more compact and lighter, much convenient than the corded. Battery fuel gauge easy to check how much power left and when needs to be recharged. The Lithium ion battery pack is interchangeable with other tools part of Populo 20V Max System. 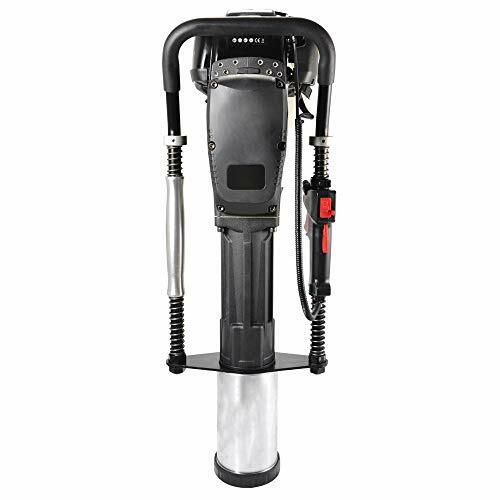 HIGH TORQUE & DURABLE - Built with a compact 4-Pole motor delivers a 1,770 in-lbs of Maximum torque that loosens the bolts as easily as tighten them. Metal gear housing and unique impact transmission mechanism increased reliability and endurance. EASY TO USE - Quick release Hex chuck for quick and easy driver bit change, A built-in LED work light with 5 second delay after trigger released provides the visibility when working in dark areas. Forward and reverse lever for easy change of driver rotating direction. Variable speed trigger for easy control driver speed for different tasks. All metal and reversible belt clip helps to keep the driver when on a ladder or somewhere you need. ERGONOMIC DESIGN - Compact (6) and lightweight (2.68 lbs - bare tool) design fits into tight areas. Rubberized handle creates a better working experience. 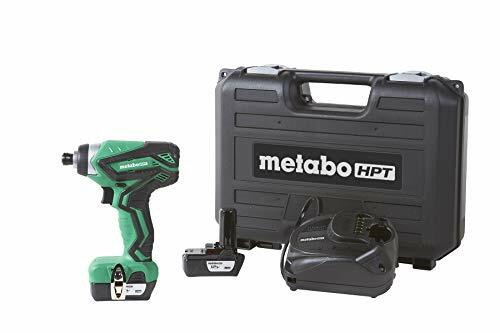 INCLUDES (1) 20V Max Impact Driver, (1) 20V Max Lithium Ion Battery, (1) Fast Charger, (2) 1 Long Hex Drive Bits, (1) Tool Bag. Brand: populo | Manufacturer: Yongkang Jiahong Tools Manufacture Co., Ltd. This 2-stroke, portable, gas-powered post driver is easy to lift, move, and carry down the fence line. It drives posts in half the time of a manual driver. The 4" barrel accepts posts up to 3.875" in diameter. Includes 3 adapter sleeves: 1.875", 2.5", and 3.875". Comes with tool kit for servicing and protective storage case. Weighs 45 pounds. 700-1,350 beats-per-minute. Powered by 2.3 horsepower, 2-stroke engine. 100% self-contained. Handles are designed for comfort. Simple recoil pull start with trigger throttle and integrated stop button. 30-day limited warranty. An impact driver is the best tool for driving lag bolts through thick wood. 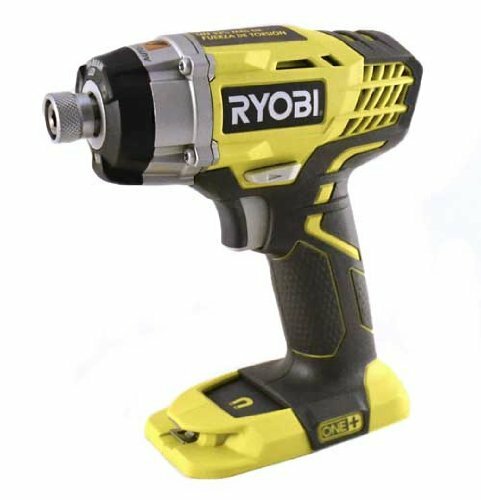 After you've bored a hole with a Ryobi drill driver, use this Ryobi P239 to finish the job. It has a variety of features to help you work with comfort and efficiency. An LED light at the base keeps the job lit, and a magnetic tray is available to keep fasteners and bits in place while you work. Don't worry about working on more light duty tasks. The variable speed trigger will help you control exactly how much torque you apply to a job. Indoor or outdoor, professional or diy, this Ryobi product will help you get the job done right. The DEWALT DCF887B Impact Driver is ideal for most fastening applications. This driver features a DEWALT built brushless motor that deliver more run time and capacity over standard units. DEWALT bare tools are a great way to add to your tool box if you already have batteries and a charger.Is compact for fitting in tight spaces and increasing productivity. Three LED lights make it ideal for working in the dark. Precision drive in speed 1 for precision applications and added control. Covered by a lifetime Lithium Ion tool warranty, The WH10DFL2 is a compact and lightweight cordless impact driver. It delivers 955 in/Lbs Of torque in compact size tool that weighs only 2.2 lbs. It is ideal applications such as tightening bolts and sinking screws As well as projects like installing cabinetry and windows and hanging doors. Covered by a lifetime Lithium Ion tool warranty and 2-year Lithium Ion battery warranty, The WH18DGL has the power to drive stubborn screws and bolts, and can do so in tight quarters. With 1, 280 in/Lbs Of torque, up to 2, 400 RPM and 3, 200 impacts per minute there are few jobs This impact driver can't handle. A convenient LED light illuminates dark work spaces and a 1/4" Hex chuck provides simple and Quick bit replacements. 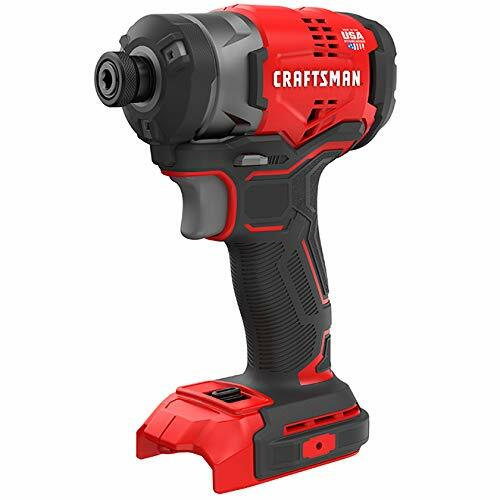 The CRAFTSMAN V20 20V MAX brushless 1/4-in impact driver (Tool only) has a MAX torque rating of 1,700 in-lbs for speed and ease of driving large fasteners. The variable 3-speed settings provide maximum control in application. The one handed bit insert makes changes quick and easy.